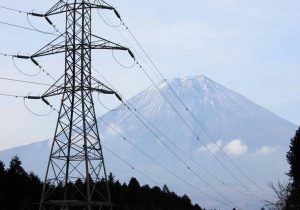 Japan’s Cabinet approved a revised Basic Energy Plan on July 3 that set goals for Japan’s energy mix to 2030. The plan moves Japan in the right direction, but is not as innovative as some had hoped. It is likely that it will take Japan until the next iteration of its basic energy policy to address more thoroughly its energy challenges. High hurdles remain. The new plan concludes that nuclear energy continues to be an important baseload power source that contributes to long-term stability. It calls for nuclear energy to generate 20 to 22 percent of energy in 2030, but adds that Japan’s dependence on nuclear energy will be reduced as much as possible. Many experts believe that this target will be extremely difficult to reach. Prior to the Great Eastern Japan Earthquake and Tsunami, nuclear energy accounted for 30 percent of Japan’s electricity generation. This plan also acknowledged a need to cut Japan’s plutonium stockpile as Japan has yet to successfully use it to produce energy. At the same time, the Ministry of Energy, Trade and Industry announced that it will launch a public-private initiative to develop next-generation nuclear reactors. The new Basic Energy Plan also calls for renewable energy to produce 22 to 24 percent of electricity, and fossil fuels just over 50 percent (liquified natural gas would account for 27 percent, coal 26 percent, and oil 3 percent). Critics of the plan called the renewable energy target “unambitious” and “disappointing.” Within renewables, the target is for 1.0 to 1.1 percent geothermal, 3.7 to 4.6 percent biomass, 1.7 percent wind, 7 percent solar, and 8.8 to 9.2 percent hydro. Others claimed that continued support for coal-powered generation makes Japan a global laggard on climate change. The renewable target is the highest ever and coal is targeted to be scaled back from the current level, to which it had expanded after 3/11. The plan also pushes for greater investment in next generation technologies. For detailed information on Japan’s energy challenges and recommendations for the future, see Sasakawa USA’s June 2018 publication, “Japan’s Energy Conundrum: A Discussion of Japan’s Energy Circumstances and U.S.-Japan Energy Relations.